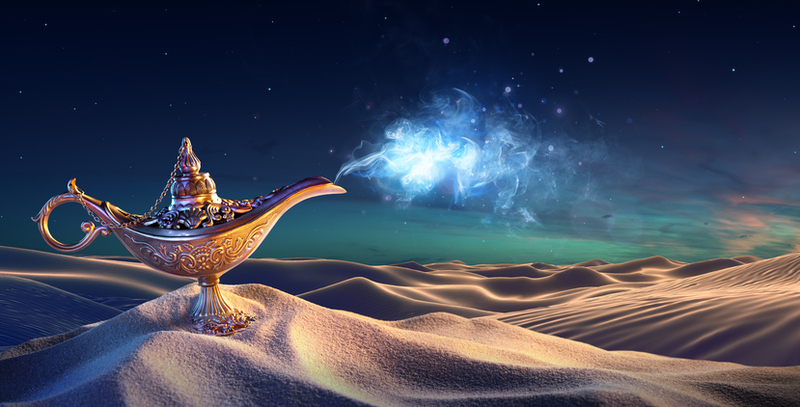 The genie gave Aladdin three wishes. If you wish something, it means that you would like something to be different from the way it is now. I don't like being short. I wish I was tall! We also wish when we use a lucky object to ask for good luck in the future, usually because we want something that we don’t have now. We wish on the lucky object, and we wish for the thing that we want. I wished on a lucky star. The girl wished for a new bike. If you wish somebody something, it means that you want something good to happen for them. She phoned to wish me good luck on my driving test. Normally, when we want something to happen in the future and we think that it is possible, we use hope. For example, “I hope it’ll snow this winter” or “I hope you can come to my party.” We use wish for things that aren’t possible (meaning 1) or that we don’t think will happen without magic (meaning 2). We also use wish when we want something good for someone else (meaning 3). Some people make a wish when they see a star (ie, a wish upon a star). The famous Pinocchio song is about wishing on a star. There are other meanings of wish.